Dr. Ramirez-Del Toro specializes in Physical Medicine and Rehabilitation. 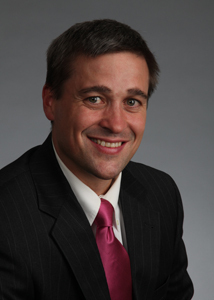 He holds a fellowship in Sports and Musculoskeletal Medicine and Interventional Spine procedures. He graduated from Princeton University, and received his medical degree from Brody School of Medicine at East Carolina University. Dr. Ramirez-Del Toro completed residency at the University of Pittsburgh Medical Center. Dr. Ramirez-Del Toro is able to provide non-operative treatment options for any musculoskeletal injury or disorder. Dr. Ramirez-Del Toro performs Musculoskeletal Ultrasound and Platelet Rich Plasma treatments for ligaments and tendon dysfunctions. In addition, he is also trained in electro-diagnostic medicine (EMG) and can provide solutions for upper and lower extremity peripheral nerve and nerve root problems and interventional pain procedures include fluoroscopic guidance for lumbosacral nerve root blocks, epidural injections, sacroiliac joint injections, and facet joint blocks. Dr. Ramirez-Del Toro is the Director of Sports Medicine and Head Team Physician at California University of Pennsylvania. He is board certified by the American Board of Physical Medicine and Rehabilitation. Ramirez-Del Toro JA. Chapter: Triceps Tendon Peritendinous Injection. In Atlas of Ultrasound-Guided Musculoskeletal Injections. Eds Malanga and Mautner. Currently In Print, Due out 2013. Ramirez-Del Toro JA. Chapter: Triceps Tendon Tenotomy and Fennestration. Ramirez-Del Toro JA. Re: The Ligamentum Flavum at L4-5: Relationship with Anthropomorphic Factors and Clinical Findings in Persons with and without Spinal Stenosis. Malanga GM, Chu SK, Ramirez-Del Toro JA, et al. Sonographic Evaluation of Supraspinatus Cross-sectional Area in Collegiate Baseball Players. Malanga GM, Ramirez-Del Toro JA, Bowen JE et al. Chapter 53: Sports Medicine. In DeLisa’s Physical Medicine and Rehabilitation Principles and Practice 5th Edition. Eds. DeLisa and Frontera. Lippincott, Williams and Wilkins 2010. pg. 1413-1436. Malanga GM, Ramirez-Del Toro JA. Common injuries of the foot and ankle in the Child and Adolescent Athlete. Ramirez-Del Toro JA. Time to Exercise. Ramirez-Del Toro JA. Back Pain And Snow Shoveling. Ramirez-Del Toro JA. Sports Concussions. Ramirez-Del Toro JA. My Doctor Says I Have Bursitis.